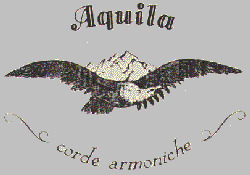 Browse Aquila | Musical Instruments | GAK. Buy Aquila products through GAK. Shop Aquila with next day delivery and 0% finance available from the UK’s no1 musical instrument store. The Aquila Silver Rumbler Ukulele Bass Strings have been designed especially for the Kala Rumbler U-Bass. Aquila Guitalele/Guilele strings are long-lasting, stable and great-sounding strings for short-scale ukulele/guitar hybrids.